What is Unique about Cuppy's Coffee? We've eliminated the guess work. 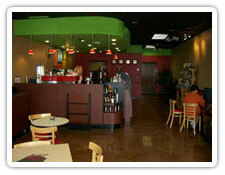 Cuppy's Coffee helps you to have what you need to be successful in the specialty coffee business. Your success is our success. We work with you shoulder to shoulder to help you make the kind of return on your investment that is associated with running a successful specialty coffee business. Do I need business experience to be a Cuppy's Coffee owner? While not mandatory, some business experience is a plus. More important than hands on business experience is your desire to succeed in a business that is your very own. 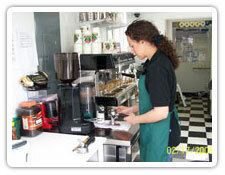 As a Cuppy's Coffee franchisee, you will be provided with the best trainers and consultants. You and your manager(s) will be thoroughly trained in every aspect of your store operations. While we cannot do all the work for you, we'll work shoulder-to-shoulder with you as we know that your success is our success. As you work with your business consultants, trainers and customer support personnel, you'll become more and more comfortable with your ability to succeed. The franchise fees vary greatly for our different franchising options. Please visit the investment page for details. Marketing Support. Cuppy's Coffee has a team of professionals dedicated to creating local, regional, and national campaigns designed to increase restaurant sales. Training. A total of 14 days of training before and during your opening week with the major focus on business operations, planning, employee training, and drink preparation. Cuppy's Coffee negotiates deep discounted prices with major suppliers ensuring you receive the best products for your store. A business plan from the leaders in designing specialty coffee business plans. You will use strategic plans as a guide to help you manage your business operations. Support from Cuppy's Coffee referral specialists who will help team you up with commercial real estate professionals to help you find the best possible location. Does Cuppy's Coffee award territories? You will be given the rights to a mutually agreed upon geographic area. 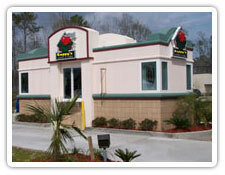 No other Cuppy's Coffee owner can open a dual drive-up coffee cafe, Island Walk-Up, kiosk or cart in your protected area. Experienced field consultants and operations support specialists may visit you via telephone or in person on a periodic basis to consult with you and your personnel on all the important aspects of your business operations. You will also be able to contact a member of the Cuppy's Coffee support team between the hours of 8:30 a.m. and 5:00 p.m., Eastern time Monday through Friday and 10:00 a.m. to 2:00 p.m. on Saturday. They are at your service whenever you have a question or need advice. How many employees does it take to operate my store? You will need at least (1) full time and (2) part time people to start. Employee count may be increased depending on the location, business hours and sales volume. We suggest operating hours with minimum hours of 6:00 a.m. to 6:00 p.m., Monday through Saturday and from 7:00 a.m. to 12:00 p.m. on Sunday. *These hours and days can always be extended or changed depending on your customers' needs. Where do I purchase products and supplies? 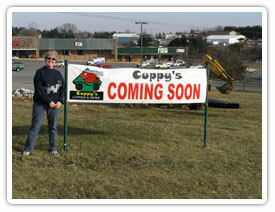 Cuppy's Coffee provides access to the very best products, services, and equipment. This means you pay less for those same products, services, and equipment. I'm ready to proceed. What's the next step? We take granting a franchise very seriously. Consequently we are extremely selective in granting territory protection. If you feel you can qualify, we encourage you to talk to your Franchise Manager. To speak with a representative, call 1-888-241-4324 FREE. Do you have a question that we haven't answered here? Drop us a line and let us know!